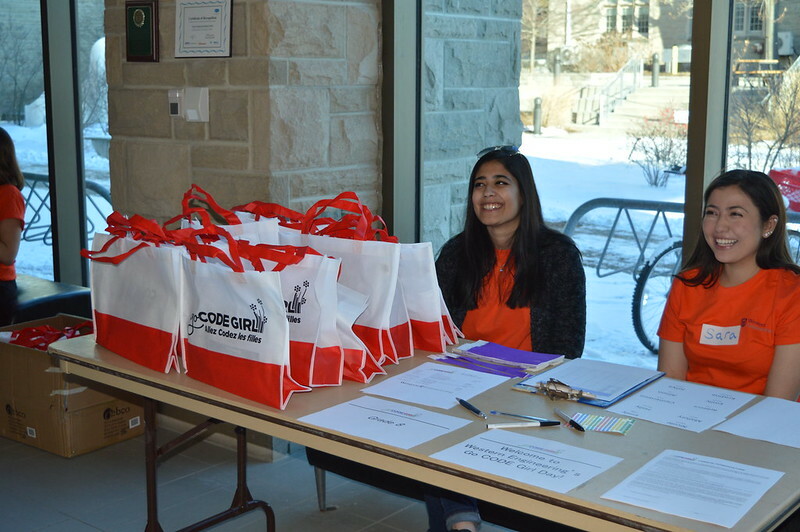 Go CODE Girl provides an exciting opportunity for girls in grades 7-11 across Ontario to learn about the exciting world of coding and software development and discover opportunities in computing and engineering fields. Today, software forms the backbone of our interconnected and digital world. This includes everything from smart machines, to our communication systems to the cars we drive. Coding is the ability to read and write in a language that a computer can understand so that you can instruct a computer how to perform complex tasks. Learning to code can lead to increased digital confidence, a different way of thinking about problems and the ability to understand and use technology to help develop creative solutions in almost any discipline. Go CODE Girl will educate, inspire and equip girls with the digital skills, confidence, and resources needed to pursue an education in technology, computing, and engineering. Careers in technology, computing, and engineering are the fastest growing industry. Western Engineering Outreach is looking forward to welcoming young women in Grades 7-11 to our fourth Go CODE Girl event. Meet Dana: I was born and raised in London, Ontario! I am in my fourth year of the software engineering program at Western University after completing a twelve-month internship at Magnet Forensics in Waterloo last year. During my time at Western, I have been involved in clubs including Hack Western, Western Women in Technology Society, Western Outdoors Club and the Western Undergraduate Engineering Society (UES). Outside of school, I enjoy playing piano, swing dancing, rock climbing, and spending time with friends.